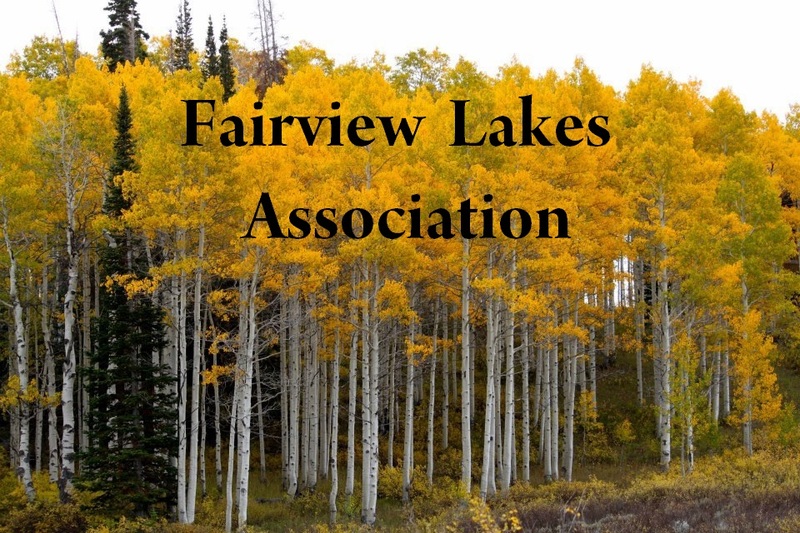 Please be aware of the Safety Rules as well as other rules adopted by Fairview Lakes Association. Click the link above to view. 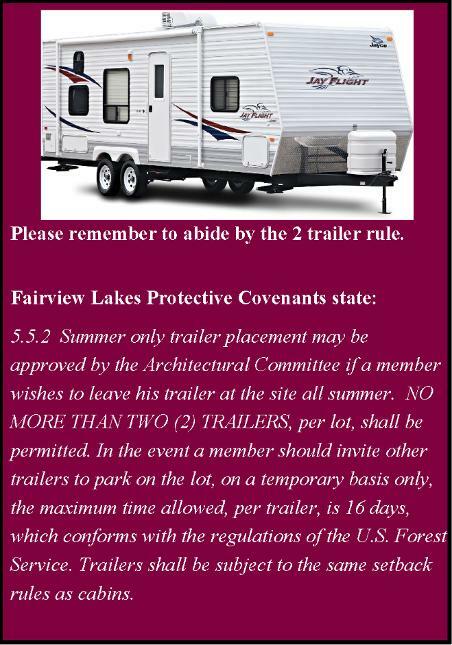 Print the rules and post them in your cabin or trailer for your guests to read, understand and abide by, as well. Contact Safety Director Lynn Williams for further information. See "Rules for Young Drivers" below. Click the links for further information. 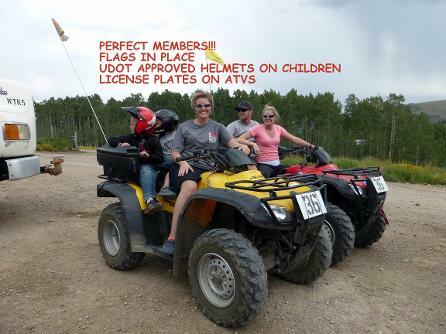 Fairview Lakes Association has adopted the rules as enacted by the Utah State Parks in regards to young drivers, specifically age requirements, the need for State certification and the use of UDOT approved helmets for riders under the age of 18. 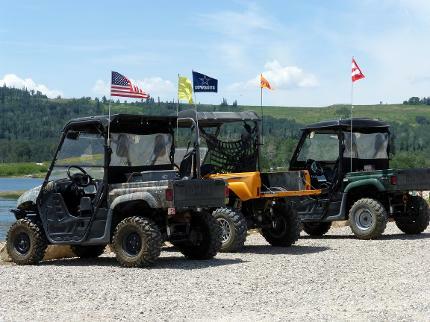 Safety Flags are required on all OHVs while riding within the private property of Fairview Lakes Association. THOSE MEMBERS WHO HAVE ZIP LINES FOR SUMMER FUN ARE REMINDED TO REMOVE THEM IN THE FALL. 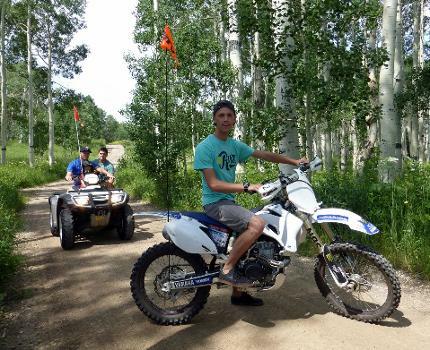 THEY ARE AN EXTREME HAZARD DURING THE WINTER MONTHS FOR THE FOLKS WHO SNOWMOBILE. EVEN THOUGH THE LINES ARE SOMETIMES 10 FEET OR MORE OFF THE GROUND, IN THE WINTER WITH THE SNOW LEVELS AT THEIR HIGHEST, THE WIRES, IN SOME CASES, ARE SITTING AT 3 TO 4 FEET HIGHER THAN THE SNOW. PLEASE HELP PREVENT INJURIES OR WORSE BY REMOVING THE LINES FOR THE WINTER.